Pandalid shrimps cover a yellow Picasso sponge. 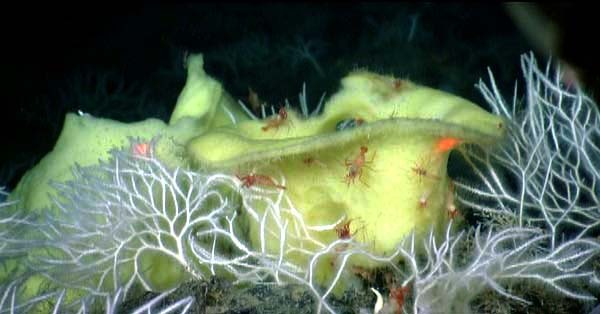 The white coral-like animals are not corals, but are probably a new species of the white sponge Asbestopluma. Note the two red laser dots; at 29 cm apart, the dots enable us to make measurements. Image courtesy of NOAA/MBARI 2006.